The Sri Lankan military has announced that they have received information that certain politicians are attempting to divulge names of intelligence units and pin blame on them for the Aluthgama debacle in an obvious effort to create distrust and bring further chaos. It smacks memory of Aturugiriya and reminds us of how UNP for cheap publicity ended up exposing the entire intelligence of the army and killing 44 intelligence personnel. Are we to see another betrayal of men who have sacrificed their lives for the nation by some unworthy politicians is what the country must now ask and it should not be too difficult to guess who the culprits may be or the political party they belong to either. While, politicians are welcome to sling mud at each other, wherever and whenever they like making a spectacle of themselves, they should leave people who are committed to serve the nation from being exposed. These intelligence officers who are both serving military personnel as well as people belonging to the minority community have given their lives to serve the nation. The politically motivated Millenium City raid compromised HEROs of our time. We do not need traitors in Parliament to make petty political gains by exposing their names in a bid to create dissent within the intelligence. 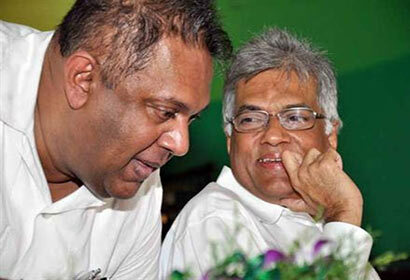 2 Responses to SRI LANKA NEEDS NO MORE TRAITORS – Has UNP forgotten how it killed 44 intelligence officers? I wonder why the legal proceeding cannot be brought in order to send such traitors to prison for life. Who is the “Traitor”?? Hon RW is the last living patriot on Sri Lanka!